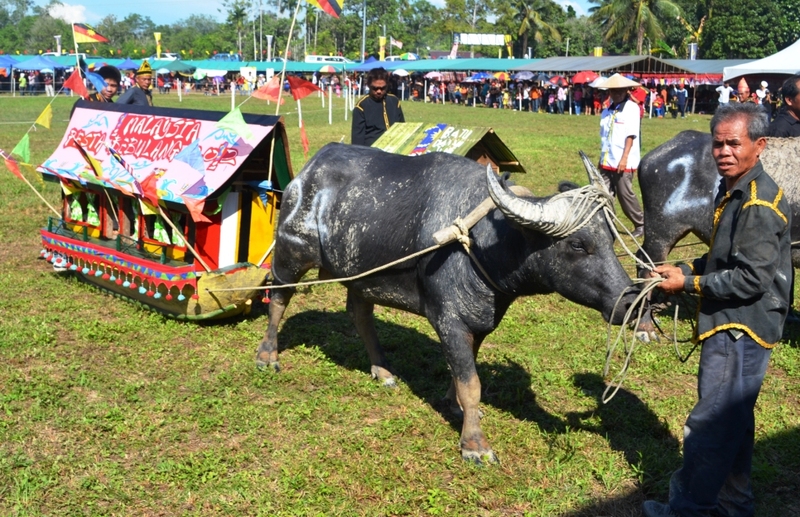 The Pesta Babulang, or Babulang Festival, is a festival celebrated by the Bisaya people in Limbang, with one major highlight: The Buffalo Races. With participants from Limbang, Sabah and the neighbouring country of Brunei, contestants try to outrace and outride each other on the muddy fields. Also featured at the festival are decorated buffalo ‘floats’, cultural performances, cooking contests, beauty pageants, handicrafts exhibitions and more. Limbang can be reached by direct daily flights from Miri, with the site of the festival located just 15 minutes from Brunei’s Tedungan border checkpoint. And if you are travelling by land from Miri, a passport is required for the road journey passes through Brunei Darussalam. The Irau Aco Festival held in Lawas is a traditional rice harvest festival celebrated by the Lun Bawang people of Sarawak, located predominantly in the northern region of the state. The festival features traditional food, games, crafts performances and festivities of the Lun Bawang communities, including unique attractions like the “Nguip suling” or bamboo flute band. This year’s festival will mark the 32nd edition of the festival, which is always held at the end of May. 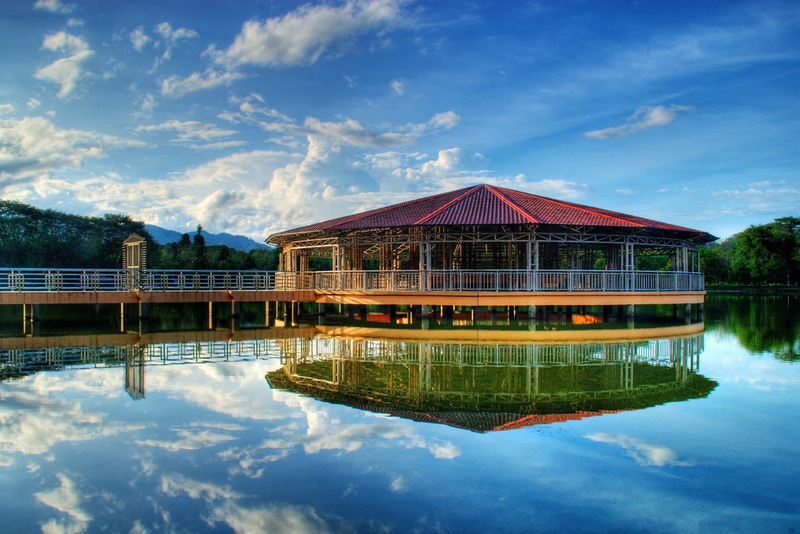 Lawas is just over an hour’s drive from Limbang, with connecting flights from Kuching, Miri and Sibu. An overland drive will include crossing the international borders of Brunei Darussalam. Hence passport is required. And if you are travelling by land from Sabah, Kota Kinabalu is your gateway city. The road distance is 185-km. Passport (non-Malaysian) or I/C is required for this inter-state crossing. This Year’s International Bornean Frog Race 2019 will take place from 27 to 28 April at the Sarawak Islamic Information Centre in Kuching. It also promotes education in conservation, engaging participants in fun activities and workshops for participants. The programmes targeted specifically for children with talks on amphibian biology, photo exhibitions, with the finale of a frog-spotting race at participating outlets in a designated mall, where participants try to spot the most number of hidden images of local frog species. The event draws public attention to the frogs of Borneo, and children for programmes on nature conservation. 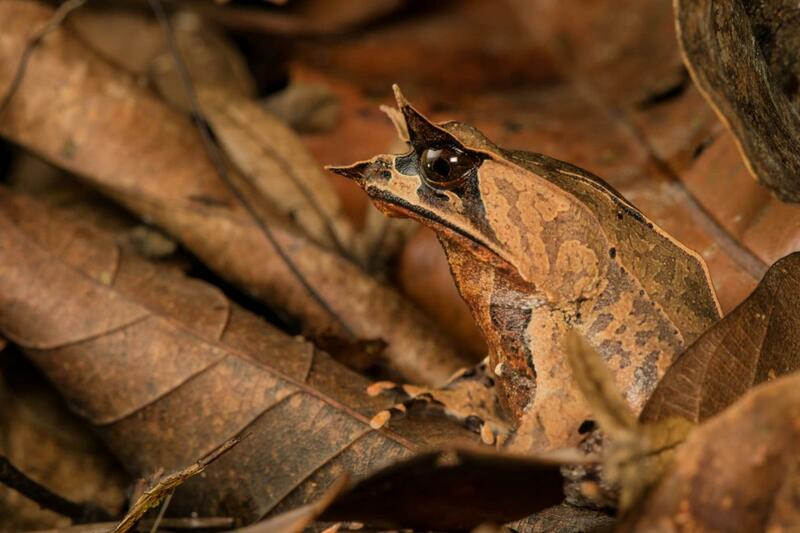 It includes talks on amphibian biology and conservation, exhibition of frog photographs, and the finale will be a frog-spotting race at participating outlets in a designated mall, where participants try to spot the most number of frog species, represented by hidden images. The Sarawak Harvest Folklore Festival takes place during the traditional “Gawai Dayak” or the harvest festival celebrations in Kuching, on April 26 to 28. The Festival will include traditional food and craft sales as well as workshops with cultural performance throughout the day, with the highlight being a musical drama based on folklore of one of the many Dayak and Orang Ulu communities in Sarawak. This year, the performance will be based on the Orang Ulu legend, “Dang Bunsu”. The event will also include the grand finale of “Miss Cultural Harvest Festival”, a Sape World Concert; Tribal Ironman Challenge; Sarawak Ethnic Kitchen Culinary Challenge, Gawai Concert and many more. 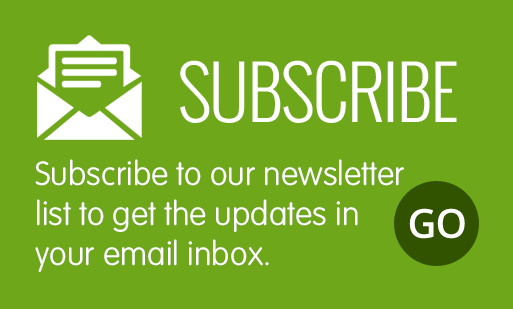 For more information, visit the event website here…. 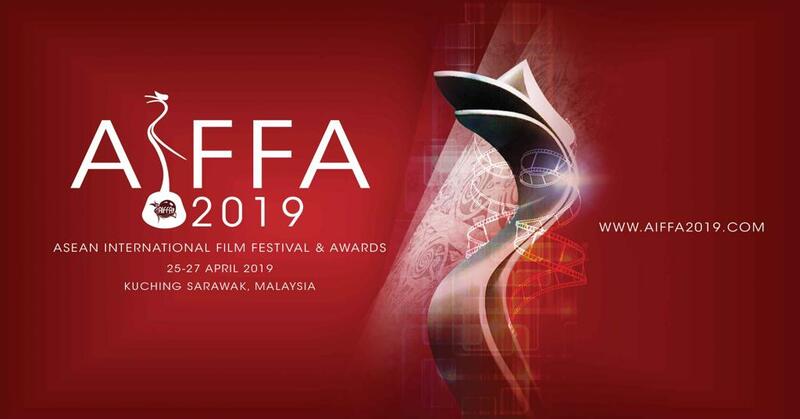 The biennial ASEAN International Film Festival and Awards (AIFFA) is back again in Kuching from 25 to 27 April. AIFFA is a premier film festival that made its debut in 2013, bringing together filmmakers and movie stars from the ASEAN region. The three day event culminates in the glamorous Gala Nite finale, where the best film productions in the region are announced. Another interesting award is the Lifetime Achievement Award, presented to an ASEAN film personality who has broken the international barrier and contributions to the film industry. 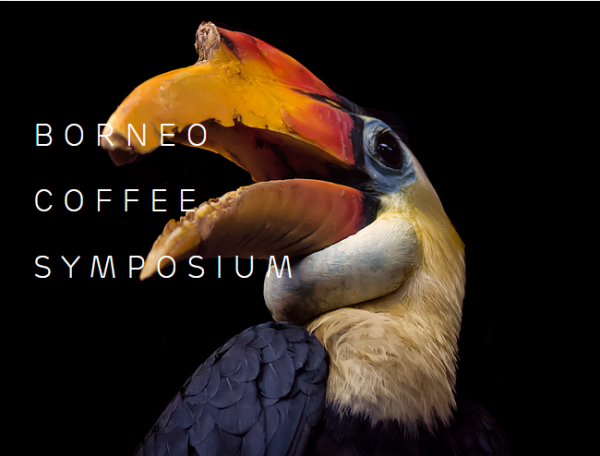 The first Coffee Symposium in Borneo will take place from 6 to 7 April,, at the Old Court House in Kuching. The symposium is organised by Earthlings Coffee Workshop and will bring together a line-up of coffee experts from around the world, from coffee scientists to farmers and estate owners in the industry. Among the speakers and presenters are Dr. Steffen Schwarz, a veteran of the European Coffee industry, Jacob Mammen who is a 3rd generation planter of the Estates owned by the Mammen family as well as Andres Quantanilla who is a fourth-generation coffee farmer from El Salvador, and many more. Borneo is in the centre region of the coffee belt where temperatures are best suited for coffee cultivation, and the island has some of the most exotic coffees, including a rare species of Liberica which has a very fruity flavour. The event organisers are hosting this symposium as part of a movement to push for awareness on Sarawak and Borneo’s potential in the coffee industry, while providing a platform for coffee professionals to exchange information, experiences and ideas, helping local industry players find their place in the bigger picture of coffee. 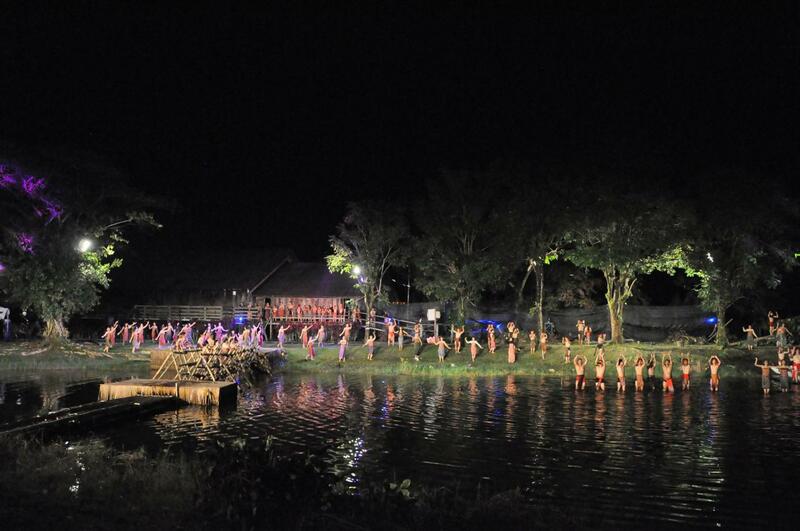 The Pesta Tasik Danu is an annual event and first started in 2018, aims to promote the beauty of the lake as well as to enhance the economy of the local community. Among the activities that will be held at the festival are water-based event such as kayaking, tug of war, duck catching, food fair, exhibitions, Lake Danu Beauty Pageant as well as ‘Pentas Rakyat’ or ‘People’s Stage’. Serian is about 1 hour 15 minutes from Kuching City. 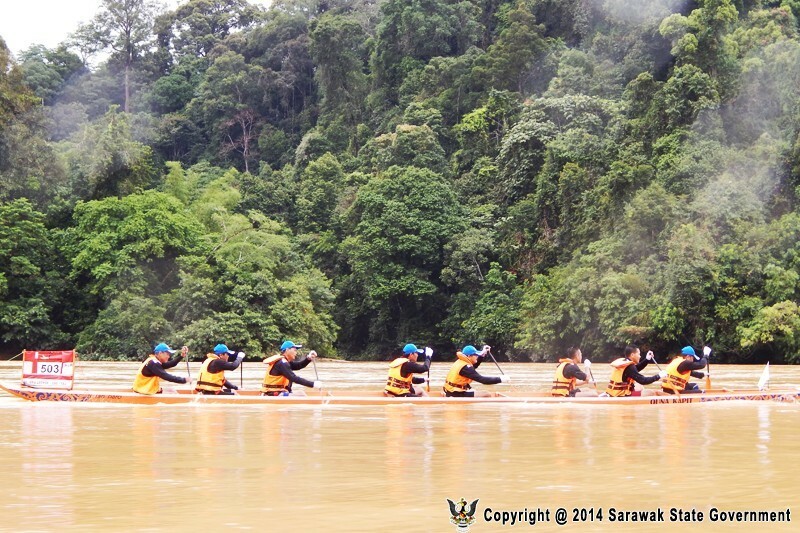 A two-day rafting competition held along the Rejang River, the Baleh-Kapit Raft Safari has been a yearly anticipated event in the area since its inaugural event in 1996. This competition has five main categories: Men’s Bamboo Open, Men’s Bamboo Closed (Inter-Department) and Women’s Bamboo Open, as well as the mixed Free Style and Paddle Boat. This event is to remind people of the importance of water transport in the past of Sarawak as well as the present, particularly in places where road networks have not yet reached. The 6th edition of the Samarahan Bike Challenge 2019 takes place on March 30-31. This Bike Challenge is one of the biggest bicycle racing events in Sarawak, with categories such as the Elite or ‘The Road Warrior’, Veteran or ‘All Star’, Sarawak Close, Ladies and Juniors, and routs varying from four to eight kilometers. The event consists of five main categories open for both amateur and professional cyclists and is held annually with participation from Sarawak, Peninsular Malaysia, Indonesia, Ireland and South Africa. 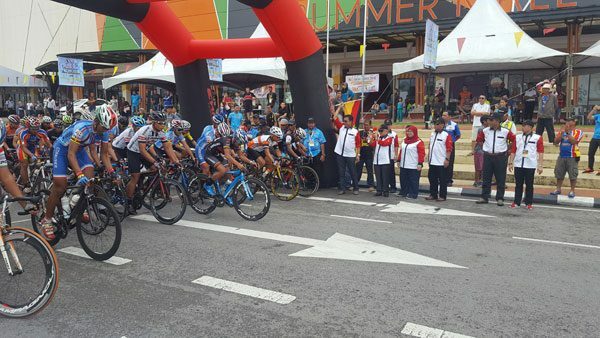 Image shows Samarahan Bike Challenge 2016 starting line in front of Summer Mall. Photo Credit: Borneo Post. Miri Marathon will take place on March 17 with routes of 42, 21 and 10km distances. The marathon is held every year with the objective of fostering a healthy lifestyle and a passion for running among the communities of Miri, young and old alike. 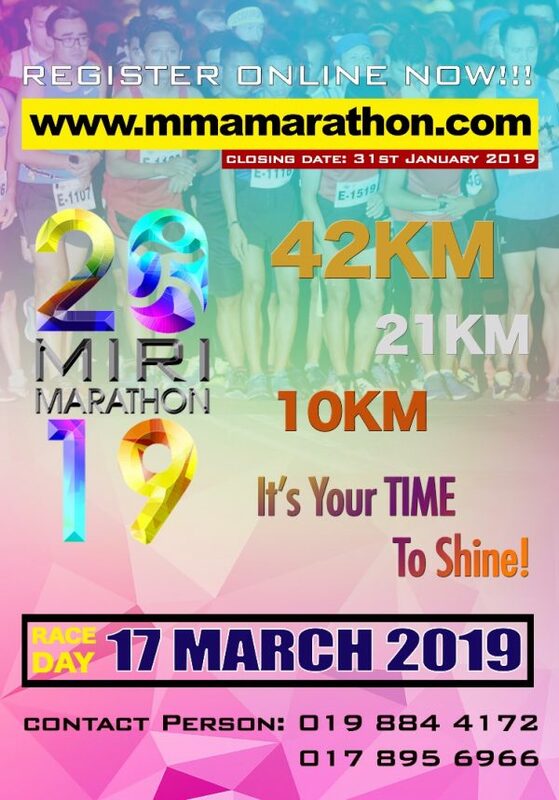 The Miri Marathon has been successfully held since 2017, and grows every year.